I had to be very patient with the tomatoes for the heat was drying up all the flowers & there was no sign of a single fruit. But it happened after the rain, & I got to pick quite a few, 2 of which were partially consumed by the birds & I left it for them. Now I know that the moment they get a touch of red, the tomatoes need to come inside, or else it is bird food. The fenugreek did not make me wait.I had soaked up the seeds overnight & spread them the next morning & in a few weeks they were grown enough to make 2 meals. I have planted another set. Note: The methi/fenugreek leaves may be cooked with the dal/lentils, but I don’t like mine overcooked, so I cook the leaves separately. Wash the lentils till the water runs clear. Boil (Cover & Cook) the Dal/Lentil with salt,turmeric, tomato & about 2.5 Cups of water till soft & almost mushy. The easiest & quickest way to do it is in a pressure cooker. It might take about 45 minutes to an hour to cook it without a pressure cooker. Heat the oil/ghee. Add the cumin Seeds, methi/fenugreek seeds & the Chilli Flakes/Red Dry whole Chillies. When the seeds start to sizzle & the pepper turns brown, add the chopped garlic & onions. Stir fry for about 2-3 minutes at high heat till the onions turn clear. Add the methi/fenugreek leaves & the hot peppers to the pan & toss till everything is well combined. Cover & cook for about 10 minutes at medium heat. After the dal/lentil is cooked, add the dal/lentil to the pan along with the onion, garlic & the leaves. It has to be soup consistency, not like a thick paste, so add water if you need to at this time. Taste for salt. Add if needed. Cover & cook at medium heat for about 8-10 minutes. Finish off with adding a fresh lemon juice. Serve with Roti/flatbread or Rice. Methi Seeds & The Lentil are both considered Legumes. Sending to MLLA # 14 hosted by creator Susan of The Well Seasoned Cook. To: GYO #34 hosted by the creator Andrea. To: The Chard Challenge, hosted by Indosungod at Daily Musings. I have wondered if I could grow methi but I wasn’t sure the climate they needed to grow… Love the recipe, and dal looks delicious with all that methi. Soma, are you reading my thoughts? I am on a huge Dal trip and this recipe is sure to be used in my kitchen as soon as I come back to Italy! Yummy and simple. This frequent s my kitchen in winter when the methi is abundantly available. The methi leaves looks beautiful and so does the tomato. I oversoaked some methi and threw them in pots and they are coming along nicely, enough to make a meal of methi dal. This looks very good. It is real comfort food,Soma!You have some wonderful veggies growing in your backyard! This sounds like a wonderful soup, Soma! I love lentils! The methi looks so fresh and pretty. I love the combination of methi and daal, comfort food at its best. My version is slightly different and I love it with plain rice. Tomar baagaaner bounty toh darun! 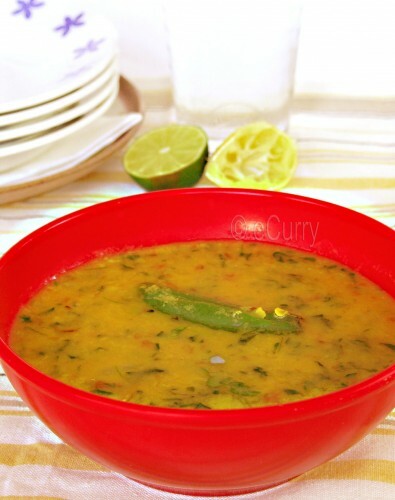 Methi dal looks delicious, total comfort food! Ha,great refreshing pictures there from your garden..feeling like had a breeze..what a pleasure to reap from our own place..nothing can replace that happiness Soma..
Lentil soup with methi is a meal,I think in itself..filing rich soup..Indian to the core. Can Methi grown in hot weather like Singapore. Wonder add this in Chinese cooking? 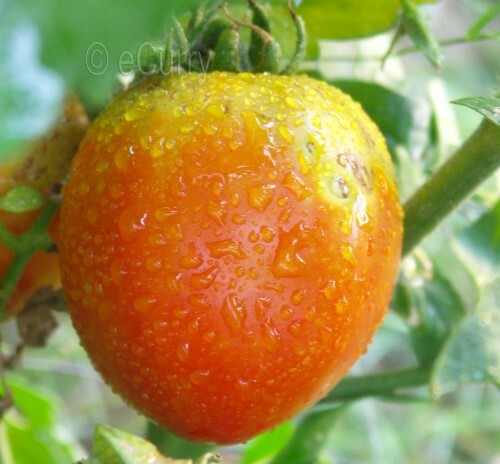 We are at 100 degree F here, & it grows well in India, so I am sure it will grow in Singapore. What a gorgeous soup! I’ve never used Fenugreek, wonder if I can find it in my supermarket. How wonderful. I really like the combination of flavors, and of course that you could use your homegrown tomatoes. Thanks for sharing again with Grow Your Own! It’s lovely that you can pick tomatoes and fenugreek from your own yard! I’ve never used fenugreek in my cooking; I guess I just haven’t seen it around much. The lentil soup looks amazing. Very interesting use of the fenugreek ,never used it before . The lentil soup looks yummy! 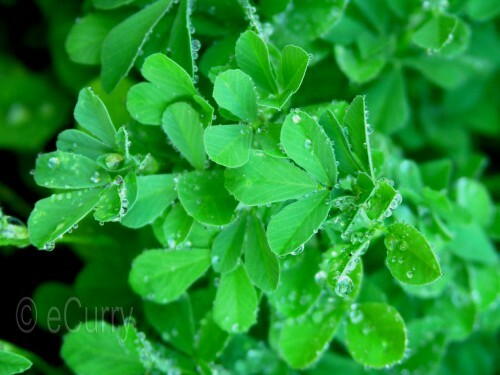 I want to try growing fenugreek. Sounds perfect for our hot summer weather. Your soup looks fantastic too! Thanks, Soma, for your MLLA recipe! Gorgeous methi and tomatoes! Methi dal was one of the first I ever made, and still a fav. I was so caught up in growing tomatoes this year, I didn’t plant any fenugreek. Shame on me 🙂 Thanks for sharing your recipe. Next time I will try cooking the methi separately. 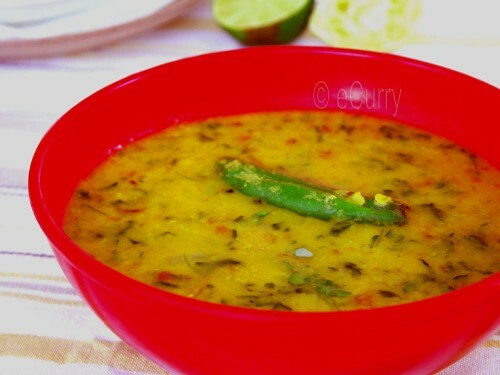 I have never tried dal with methi but will definitely going to try it thanks for recipe. I want to make this but I need to use dried methi leaces since the fresh are hard to come by here in Virginia. But 2 cups would seem to be too much for this quantiity of dal. 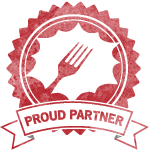 What substitution ratio would you recommend? If you are using the dried ones, use it just as a flavoring agent (which works out really great), but not as greens + lentils. 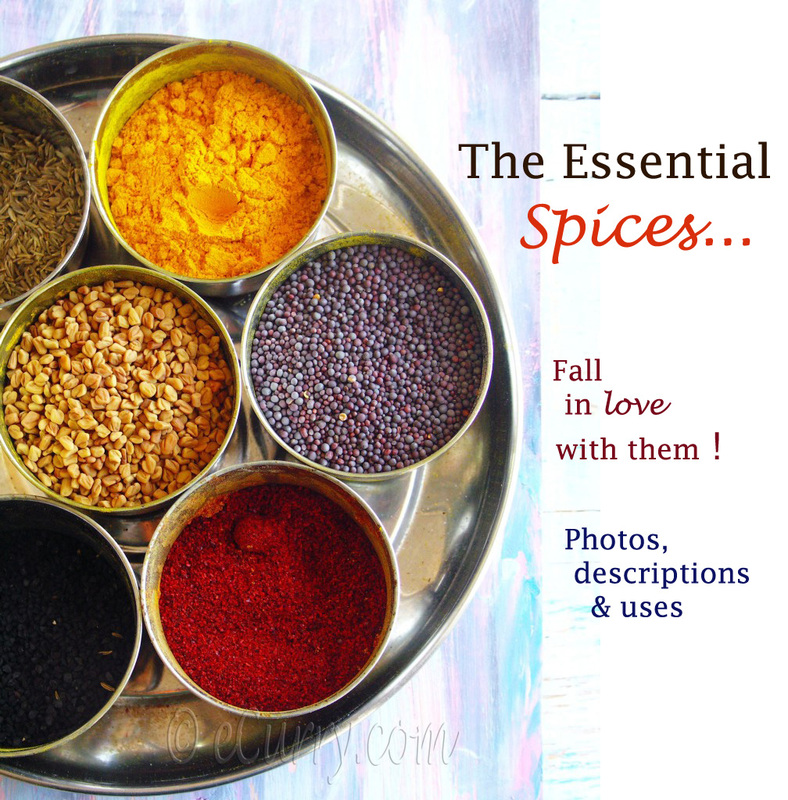 for 1 cup of dal.. a max of 1-2 tablespoons of dried leaves. even less would work.. as with good kasoori methi a little goes a long way. ( I use the MDH brand of Kasoori methi). If you really need to do this with fresh leaves.. they grow really quick. soak some fenugreek seeds overnight and sprinkle them in a pot, cover lightly with soil and you will have fresh methi to use in the kitchen in a month! Phew! You saved me just in time. I was starting to measure out my ingredients and I thought, maybe, I should check your blog to see if you had answered my question. I’m so glad you did. I had read on another website that 1 tsp of dried kasoori methi was equivalent to 1 Tsp of fresh. Going by that 1:3 proportion, I was about to use 2/3 cup of dried leaves to substitute for the 2 cups in your recipe. That would have been a major disaster. Thank you. You have achieved fairy godmother status. Just to let you know, the methi dal was suberb. I will definitely start some fenugreek seeds this year. I’m determined to have some fresh home-grown herbs for the kitchen. My goal this weekend is to get my wife’s coldframe painted and set up. yes home grown is fantastic.. way more fragrant and tender than the store bought ones. Great recipe! 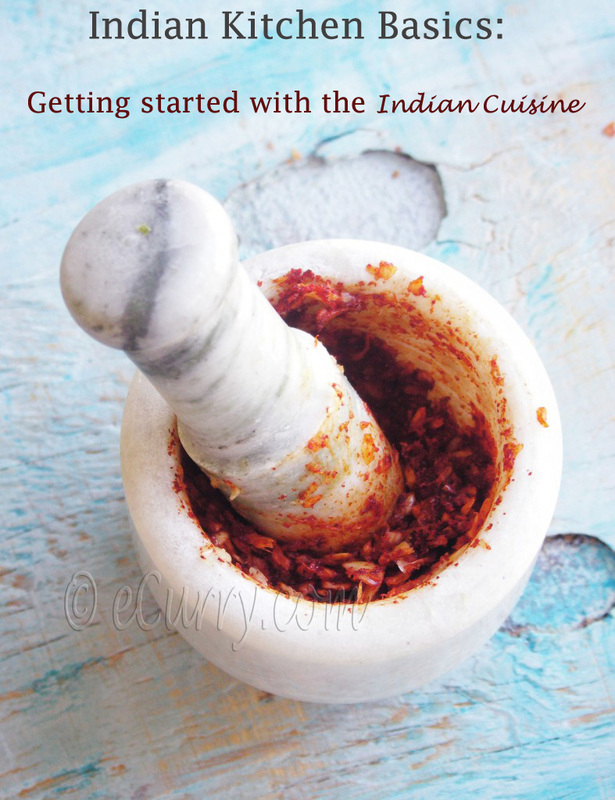 I have discovered fenugreek leaves recently, and I love hot it enhances the flavour! 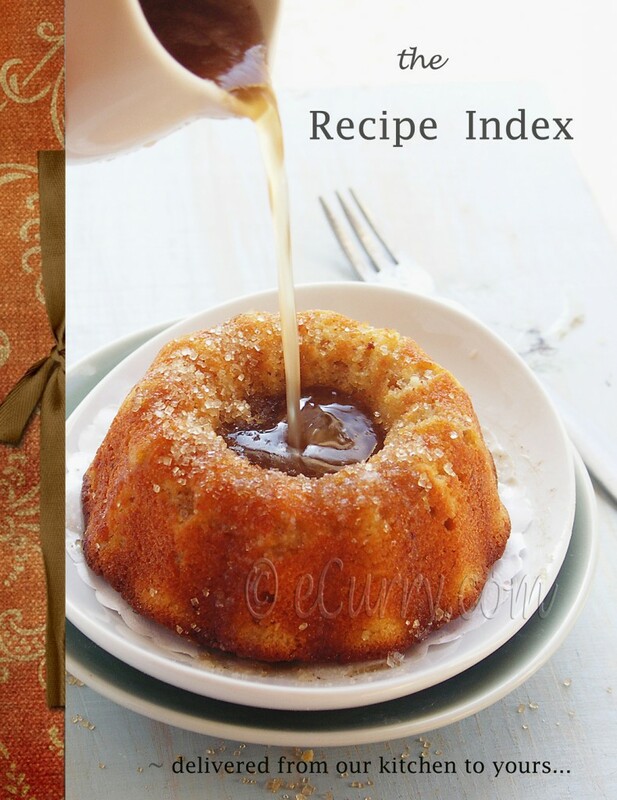 Maybe you can try my recipe too! This recipe yummy. Thanks for sharing. I have slightly different version of this recipe. 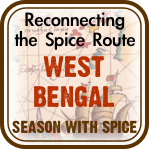 Please visit our website for more recipes.